I’ve been gone for a couple of years now. 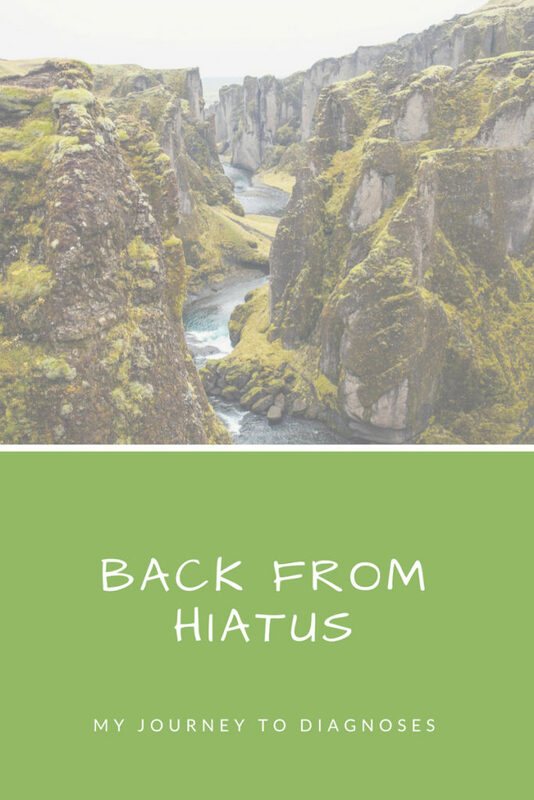 As you know, I had been dealing with Chronic Idiopathic Urticaria at the point I went on hiatus in April of 2016. At that point I had been dealing with CIU since October of 2013. Since that time, I went through a few more doctors and a few more diagnostics and received a couple more diagnoses. I have more answers, some better symptom control, but I’m still struggling to function on a daily basis. 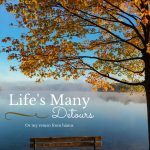 I’m going to tell you all about my journey over the last little over 2 years. Wow, it’s really been that long. The allergist that was treating me for CIU in concert with me, decided he wasn’t comfortable with treating me further because my symptoms were not improving. I was still having hives daily and occasionally having angioedema episodes. We began trying to make referrals to allergists in Pittsburgh, PA, an almost 3 hour drive one way for me, in late August, beginning of September of 2016 I believe. The first allergist wasn’t covered under my insurance. I had to do some research to find another allergist covered under my insurance. I finally was able to get in with an allergist/immunologist in December of 2016. With that immunologist, we repeated some bloodwork, added a few medications, dropped a few. I began to improve, but still wasn’t feeling very well. I had been reading about a disorder called Mast Cell Activation Syndrome and was in a Facebook group for CIU. One of the girls in it also had MCAS and suggested I talk to my doctor about ALL of my symptoms over the past 20 + years. The next visit, I laid out all my various symptoms over numerous organ systems. My doctor turned around, and I heard those magic words. It wasn’t all in my head; it wasn’t just “because I’m fat.” He told me I have Mast Cell Activation disorder. We trialled one mast cell stabilizer, but it didn’t seem to work well for me. We then trialled ketotifen. This medication isn’t available in the United States, so I have to get it compounded (specially hand-made in a compounding pharmacy here in the US from bulk ingredients) or order it from another country. I get it compounded. My nausea and vomiting for the past decade or longer is much improved. I have fewer bouts of spending time in the bathroom. I’ve been able to figure out some foods that are definitely MCAS triggers and avoid those, but I have lost at least 3 foods in the past 2 years. Such is life with MCAS. Some people with MCAS are tube fed, so I consider myself lucky. I have been having major episodes of tachycardia and near syncope, as well as other symptoms, especially when I stand up, am standing for any length of time, or it’s hot out. My PCP sent me to a cardiologist, and my echocardiogram was normal. My tilt table test was not normal, but he ruled out neurocardiogenic syncope, or Vasovagal Syncope. But my pulse rate jumped 40 beats per minute. My doctor seemed focused on my blood pressure not dropping during the test. My systolic jumped to 157, while my diastolic dropped to 55. He hasn’t given me a diagnosis from the test yet, but I’m going to discuss Postural Orthostatic Tachycardia Syndrome. New diagnostic standards state you don’t need a drop in BP, only a rise in heart rate of over 30 beats per minute. POTS is also within the trifecta of diseases seen with MCAS. Which leads me to my most recent diagnosis. There is a history of connective tissue disorders within my family. Talking to my PCP, she’d become concerned about me possibly having Ehlers-Danlos Syndrome. I can sprain some of my joints standing still. I was clumsy growing up, more so that you would expect. I had severe growing pains that were just blown off by my doctors because I was always so much taller than peers my age. I was 6 feet tall in high school. I’ve had muscle and joint pain so severe that the doctors have given me a rule out diagnosis of fibromyalgia since I was about 24. So my PCP sent me to a geneticist recently. I went to see him and he went over the Beighton Score, which even with my increasing stiffness, I still scored a 6/9. He gave me the diagnosis and said I could do the genetic testing and fight the insurance company to pay it, or just make my doctors aware I have EDS, unspecified type. I used to work within a field that dealt with insurance, so I opted not to fight the insurance company. He told me to drink lots of Gatorade because my blood vessels don’t function correctly because they’re connective tissue as well, so I need to make sure I get plenty of electrolytes to keep everything functioning. He also said if I have POTS this will help too. He told me to take Vitamin C, Vitamin D3 and calcium to help my connective tissues as well. Yay more pills. So, you can see, it’s been an eventful 2 years. I have felt like crap, but I’m getting answers. I lost my job, filed for disability and got denied and we’re adjusting to being a one income household because I’m still having more bad days than good. But it’s getting a little better most days. 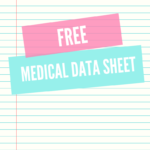 Next Next post: Free Medical Data Sheet For My Readers!